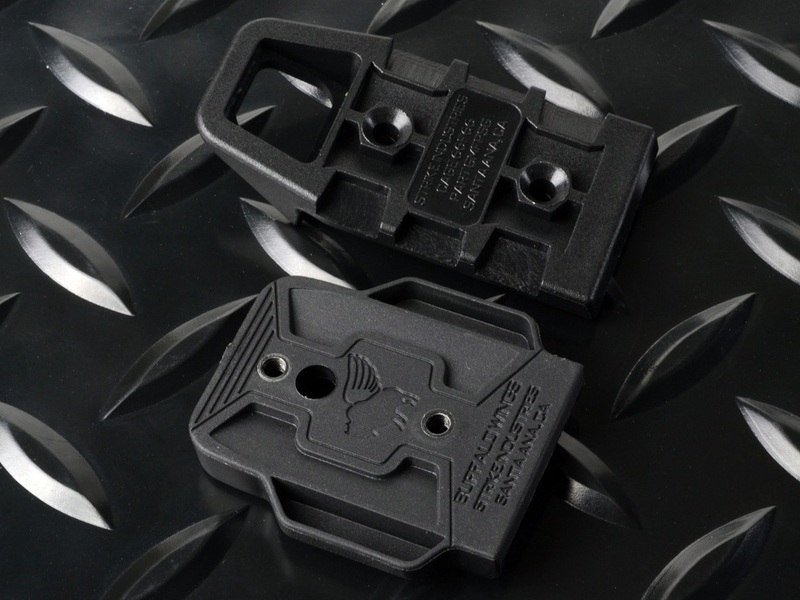 Strike Industries (SI) Introduces New Glock Pistol Accessories: SI Glock Shock Buffer (GSB), SI Glock Frame Shock Buffer (GFSB), SI Glock Buffalo Wings (GBW) and SI Rear Sight Mount for the Glock (GSR) | DefenseReview.com (DR): An online tactical technology and military defense technology magazine with particular focus on the latest and greatest tactical firearms news (tactical gun news), tactical gear news and tactical shooting news. 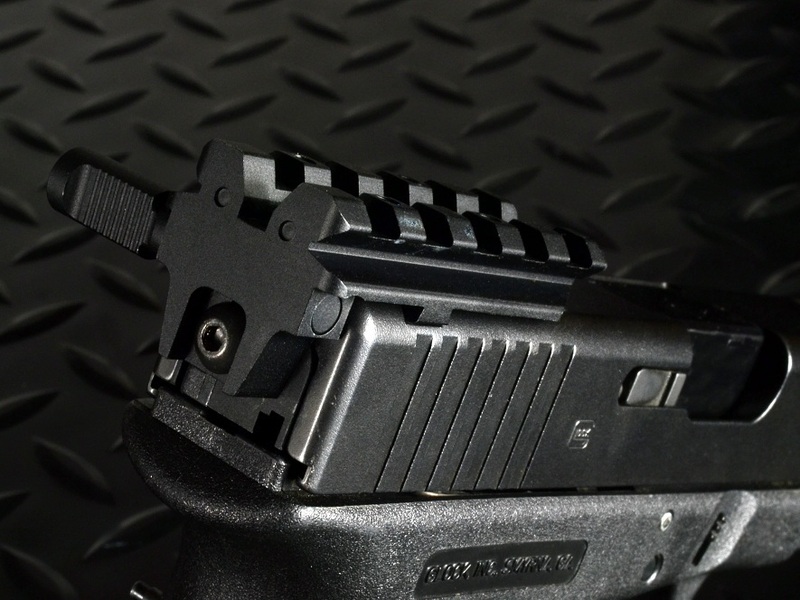 Strike Industries is about to announce more accessories for Glock users! 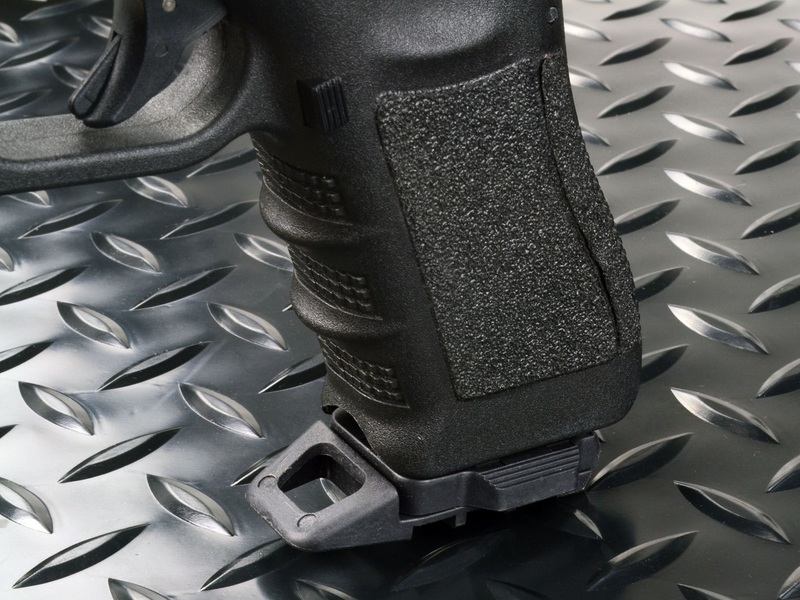 1) The SI Glock Shock Buffer (GSB) is a polyester based thermoplastic polyurethane barrier that is uniquely designed to absorb recoil. 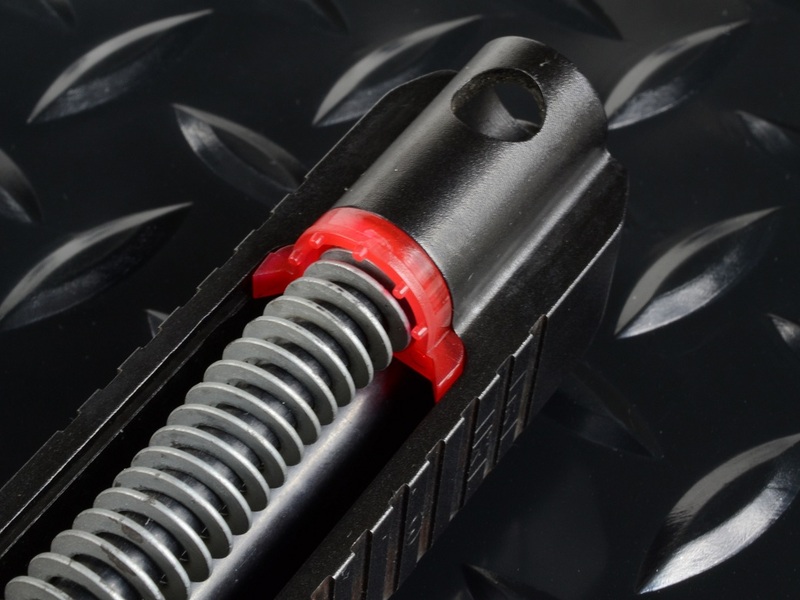 The GSB was designed to increase durability between the areas of the metal slide and polymer frame while also decrease the amount of overall wear. 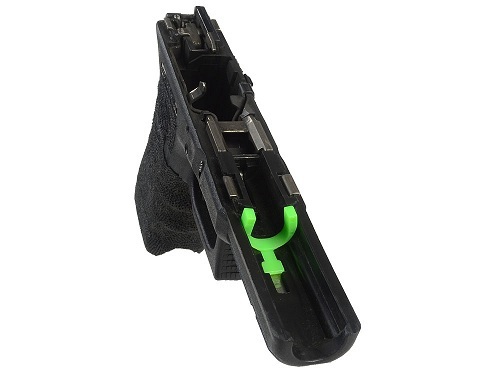 2) SI Glock Frame Shock Buffer (GFSB) is a brand new design for Gen 4 and Gen 3. 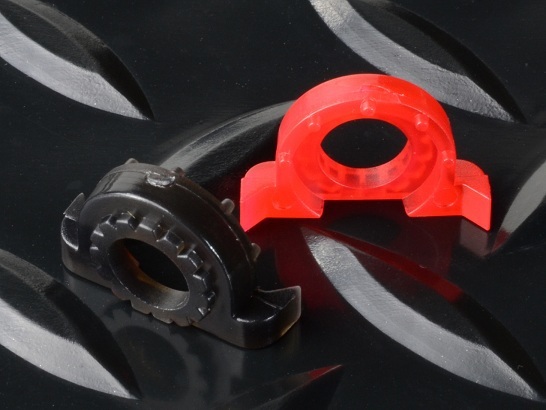 Unlike the tradition design, this buffer won't interact with guide rod. It will stay at the end of the frame and to absorb the shock from the slide. 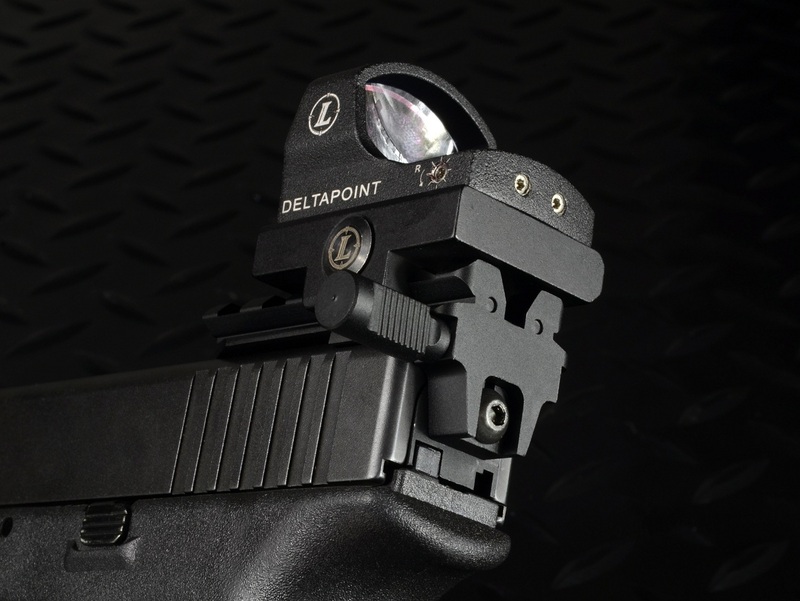 4) The SI Rear Sight Mount for the Glock (GSR) is a tactical light weight, ultra sturdy, inexpensive solution for shooters wanting to add a rear sight to their Glock but don’t want to have to spend a huge sum of money to have one customized installed. 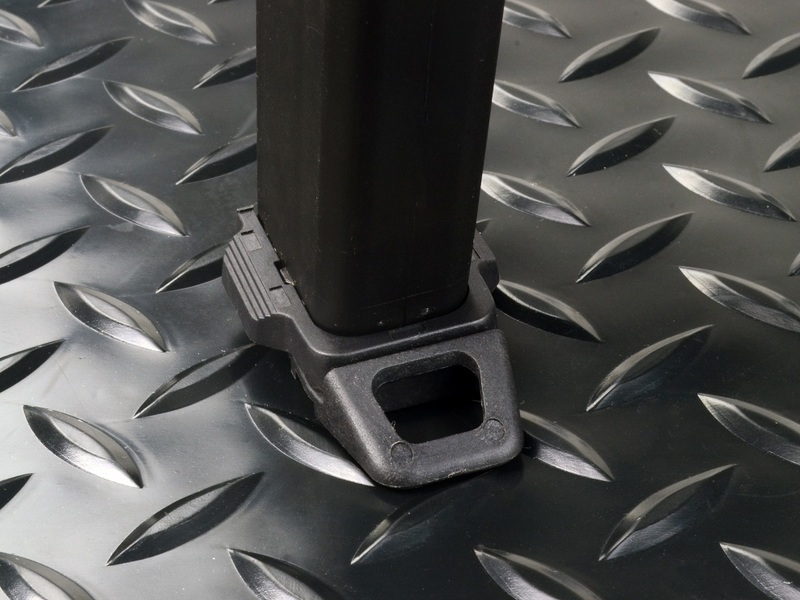 It comes with a rail to mount any sight of your choice, screws to adjust height, and a back plate to secure the rail and eliminate any movement from vibration. 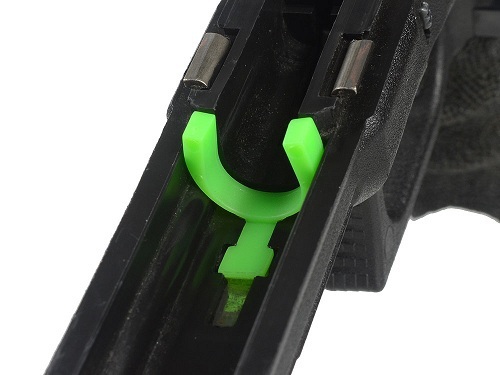 And if you choose to not use an optic, the rail has reference dots you can paint so you don’t have to remove the rail. 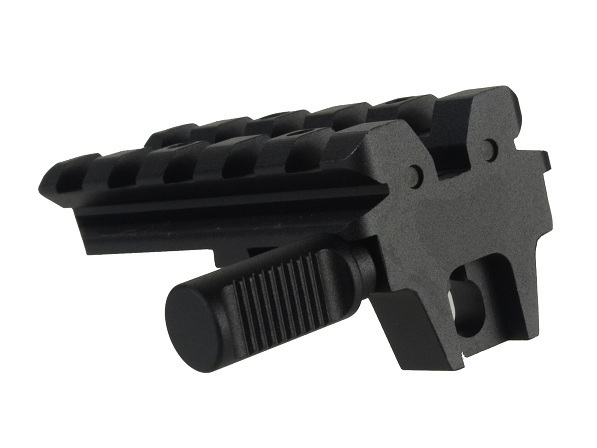 For the competitive shooter, the rail is also compatible w/ a separately sold ambidextrous charging handle. 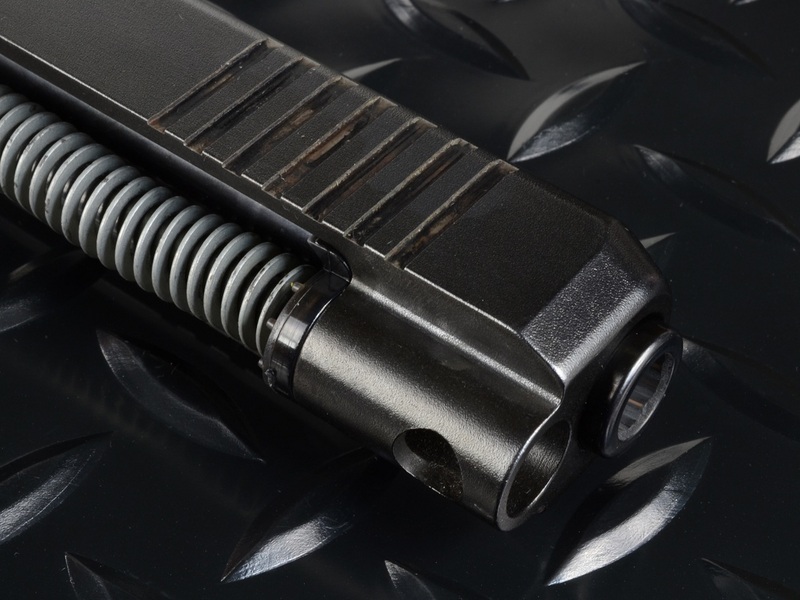 Strike is always striving to create innovative solutions to push the envelope and give the user what they want with the most available options possible and we feel that the SI Glock products are exactly those kinds of solutions.